If you’re looking for an elegant and stunning window solution for your property in Kent or the surrounding areas, look no further. First Glaze have the ideal windows for your needs and have a wealth of knowledge and expertise in the home improvement industry. Our French casement windows are a popular choice for homeowners looking for uPVC solutions that are durable, high performance as well as visually pleasing. You can install our French casement windows into your property in Rochester, Maidstone, Sittingbourne, Chatham, Lenham and Ashford. Get in touch with us today to see if we operate within your area. Our French casement windows are created by market leaders Liniar who create distinctive looking uPVC windows that add increased thermal efficiency to your home as well as transforming the aesthetic. With high security locking systems inbuilt into the profiles by default, our French casement windows are a highly secure option that will give you the ultimate peace of mind when it comes to safety and protection. Our French casement windows come with a long list of features and benefits that include increased thermal efficiency, durability, heightened security, advanced weatherproofing as well as providing a beautiful finish. With a unique six-chamber uPVC profile, you can successfully conserve heat and keep it within your property. This is especially useful in the colder months of the year where you’ll notice your windows eliminate draughts and keep your home warm. When you opt for our French casement windows you’ll be investing in high quality profiles that will be a cost-effective and worthwhile investment for your Kent home. You’ll be glad you chose First Glaze for your home improvement needs. Our French casement windows come in a range of different options and styles. They can be internally or externally beaded and are available in sculptured or chamfered 70mm frames and can be upgraded to triple glazing too. If you’re looking for a French casement window solution that will last the test of time as well as enhance the aesthetic of your Kent home, First Glaze can provide a professional and efficient installation so that you can enjoy the benefits immediately. You can select the exact style and design of your French casement windows from the type of glazing, colour, finish, texture and more. This way you gain a unique solution that is completely bespoke to your Kent home. Choosing a qualified and experienced company to install your French casement windows is important so that you gain the benefits of a Liniar French casement window. A poorly installed window will mean your home is left vulnerable to the elements as well as attempted break-ins. Our French casement windows are created to a high standard using only premium quality materials. The Liniar multi-chambered uPVC French casement profile is technically advanced making it the market leader. Our French casement windows can help you achieve excellent energy ratings for your Kent home, keeping it warmer for longer with less of a need for the central heating. This in turn will help reduce your energy bills and create a more comfortable and inviting atmosphere. With less heat seeping out of your property and into the atmosphere, your home is contributing to a greener environment. You’ll also find that your need for artificial lighting will decrease in the summer months too with a large glazing area for each profile. Our French casement windows are capable of achieving A+ window energy ratings which is an excellent benefit to ensure your home retains heat and is an enjoyable place to spend time for all of the family. 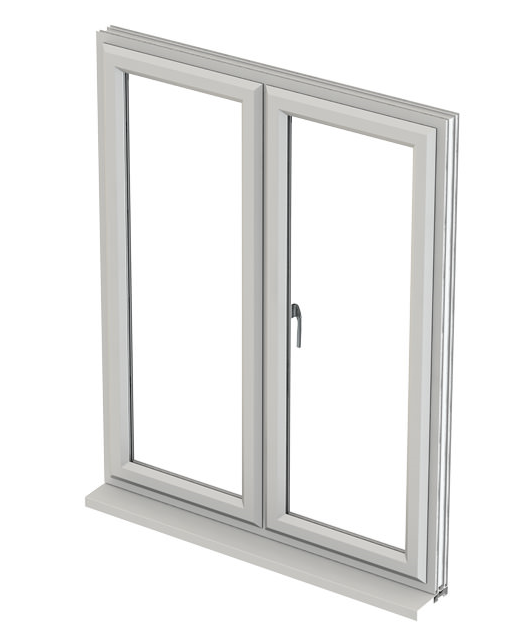 Our French casement windows are 100% lead free which is again better for the environment as well as your family. Each of our profiles are recyclable at the end of their life span making them an eco-friendly and sustainable option too. Adding our French casement windows to your property means that you won’t need to worry about them rotting, rusting or needing regular maintenance which means you’ll save time and money on the upkeep of your home. Our uPVC French casement windows are affordable and competitively priced. We believe that all homeowners in Rochester, Maidstone, Sittingbourne, Chatham, Lenham, Ashford and the surrounding areas should be able to benefit from stunning window solutions. We can advise you on the best solution for your Kent property whether you’re looking for French casement windows to enhance the look and feel of your property or you’re focused on making your home more insulated or protected. 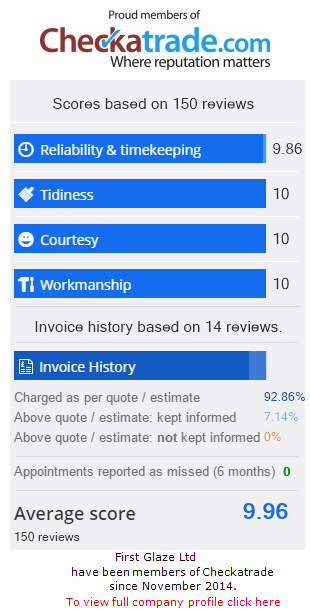 We have a friendly and expert team that can guide you through our entire product range to make sure you get the exact products you need to fulfil your home improvement project. 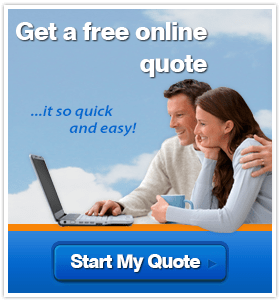 Simply get in touch with us today for a free quote or to ask any questions or queries that you may have.